Give the Kindle Fire a Productivity Boost with DejaOffice! We just finished putting the Kindle Fire through its paces, testing both CompanionLink and DejaOffice on the affordable new tablet from Amazon. The results? DejaOffice runs well, and sync with the Kindle Fire works perfectly! In fact, everything is working as we expected, with the exception of USB sync, which requires a small, but simple workaround. 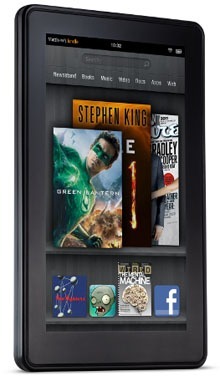 The Kindle Fire automatically mounts its SD card. You must Disconnect from USB Storage, then open DejaOffice and hit sync. We’re looking into a fix to eliminate this step, however. After testing the Kindle Fire, I think it is important to remember that it’s first and foremost a Kindle – great for consuming media. But with a few easily downloaded apps like DejaOffice, you’ll have transformed your Kindle Fire into a business machine, filled with your contacts, calendars, tasks, memos, and more. This entry was posted in News, Support Updates and tagged android, business, kindle fire, mobile, productivity, sync, tablet by David. Bookmark the permalink.